Since the passage of the federal Achieving a Better Life Experience (ABLE) Act in 2014, over 90% of states have enacted enabling legislation, federal agencies have been drafting regulations and issuing guidance, and three new bills have been introduced at the federal level. And, just this month, two states launched the first ABLE programs in the U.S., with more expected in the coming months. Needless to say, these are exciting times for the financial futures of people with autism, as well as other intellectual and developmental disabilities. 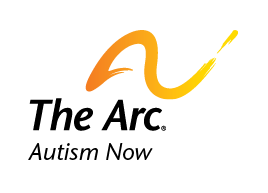 To bring you up to speed, The Arc has published a blog outlining those developments, along with a chart detailing states’ progress toward implementation. You can read more about these events here. After being called in to sign a lease the rental agent said my daughter had to Wai another 3 months for housing because her autistic 3 yr old would make too much noise. Is there any protection for families with children with disabilities? Yes I am very interested in helping and learning more about Autism can I attend a class or workshop in the near future .